Why Water Baptism in Jesus Name? No, Pentecost is not a denomination. It is a new birth experience. It is primitive Christianity made relevant to today’s world. The people referred to as Pentecostal simply believe, teach, and receive all that transpired on that birthday of the church…Pentecost, 33 A.D. 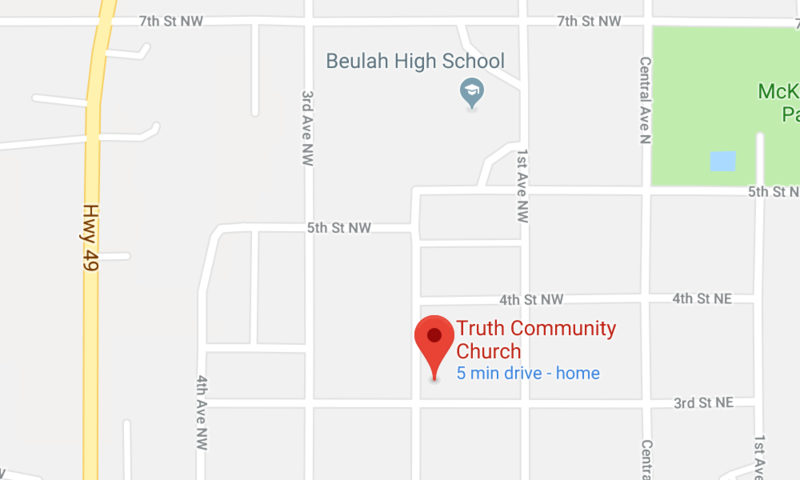 Truth Community Church in Beulah, ND is a church that embraces these basic Christian truths and experiences. You owe it to yourself to attend-and see what Pentecost can really mean to you!